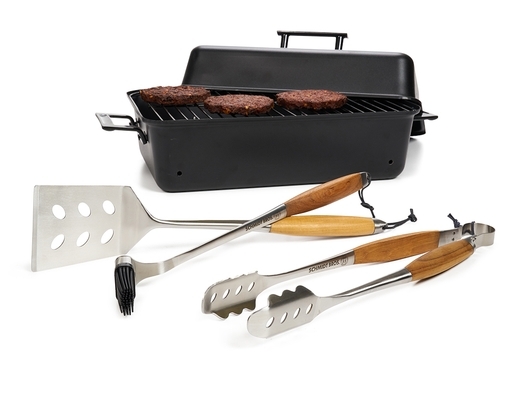 Man and woman conquered fire. Then they said, "Hey, let’s throw some meat in it" and BBQ was born. 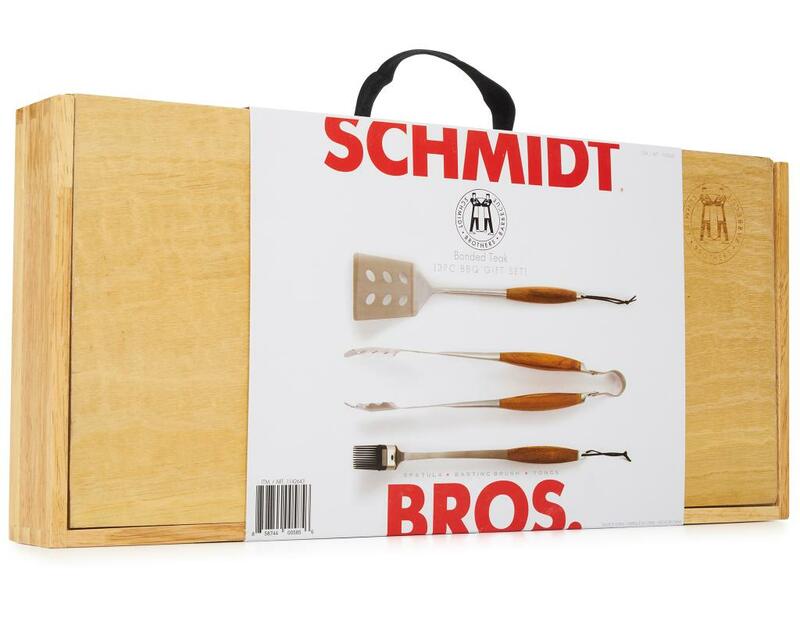 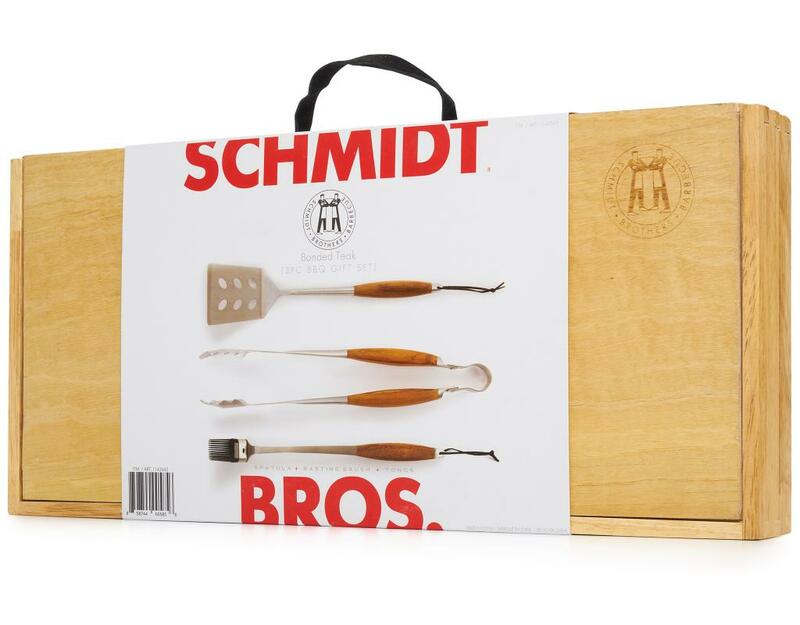 In that spirit, Schmidt Bros presents the Bonded Teak 3-piece BBQ Gift Set, made from 100% stainless steel wrought right out of the flames. 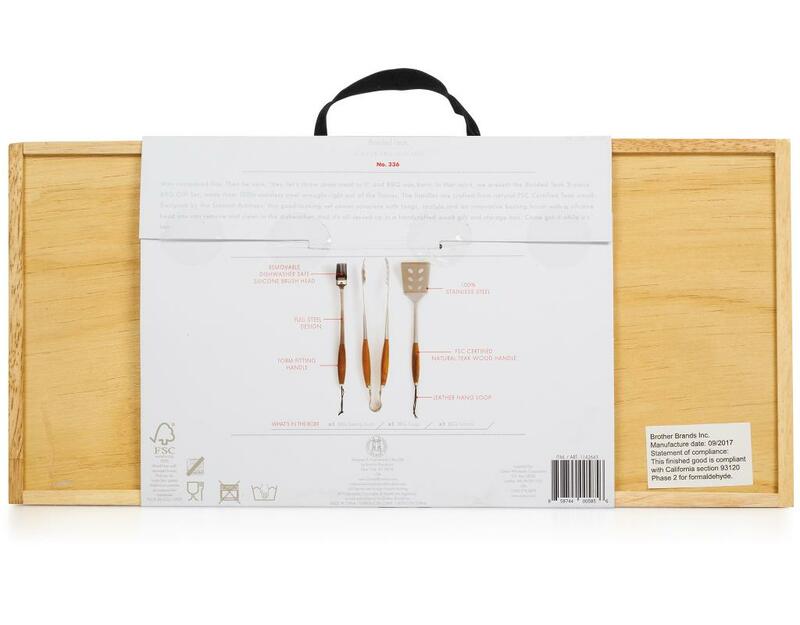 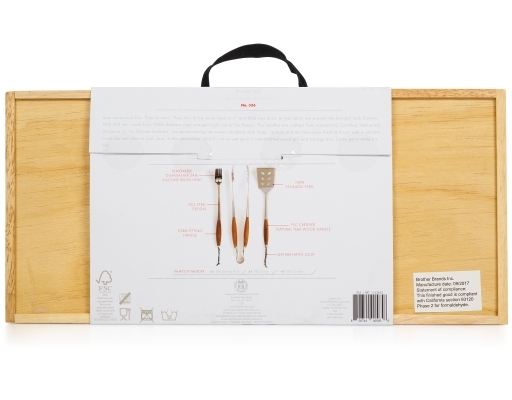 The handles are crafted from natural FSC Certified Teak wood. 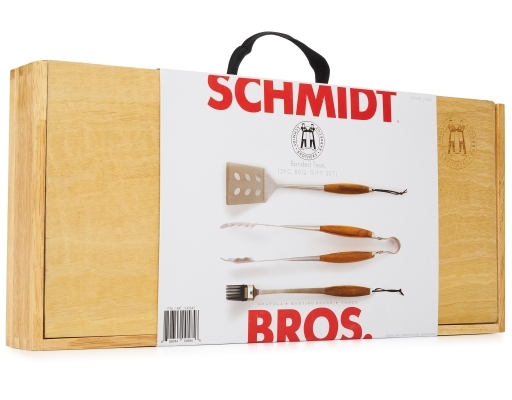 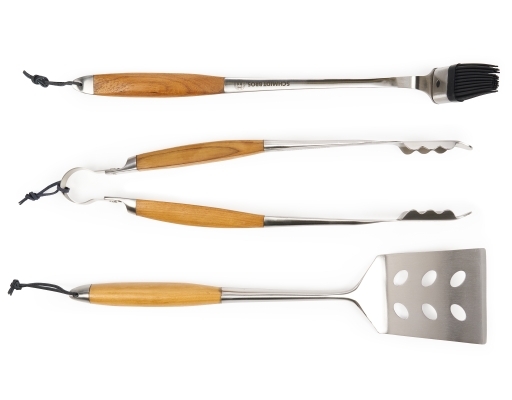 Designed by the Schmidt Brothers, this good-looking set comes complete with tongs, spatula and an innovative basting brush with a silicone head you can remove and clean in the dishwasher. 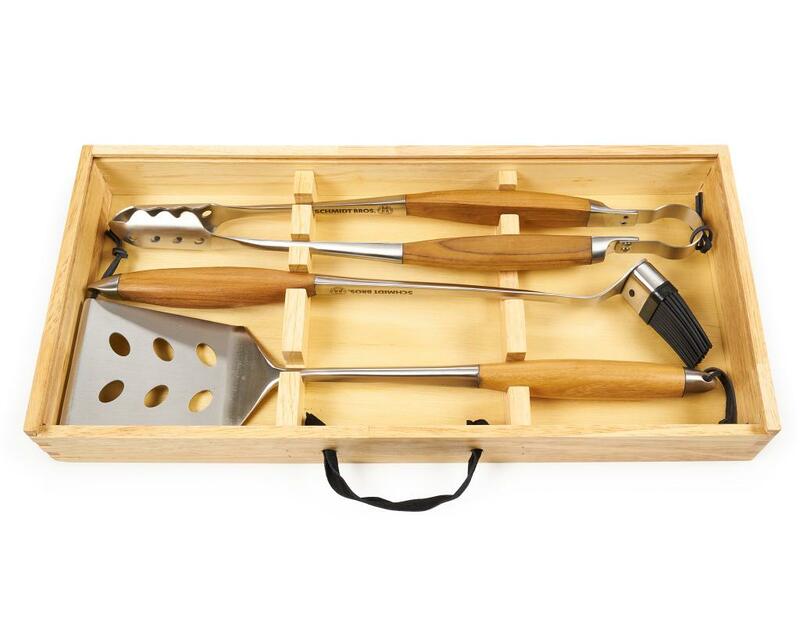 And it’s all served up in a handcrafted wood gift and storage box. 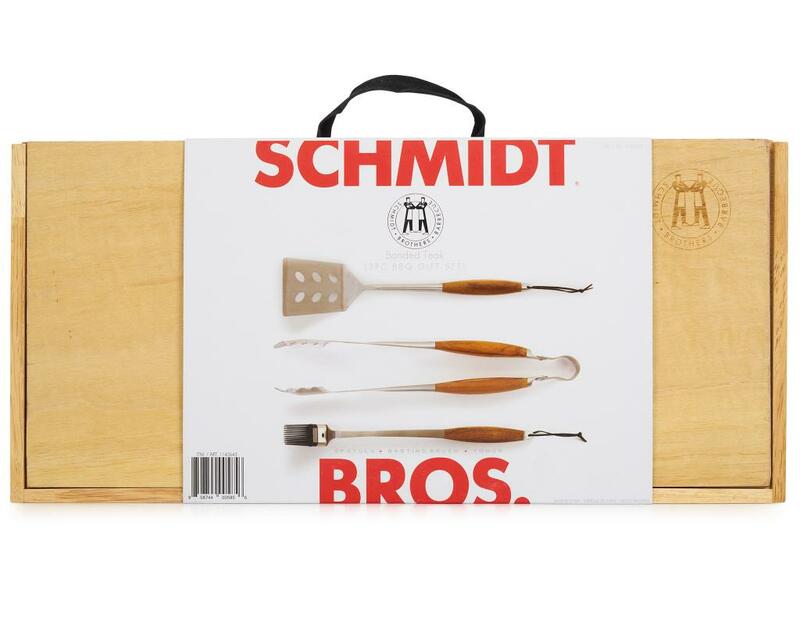 Come get it while it's hot.